Licensing, High Tech, & Biotech/Pharma Contracts Attorney – 978-749-9828 Ralph Bakkensen (MA, ME, NH, OR) – “The devil AND THE DEAL are in the details." 978-749-9828 Ralph Bakkensen (MA, ME, NH, OR) - “The devil AND THE DEAL are in the details." 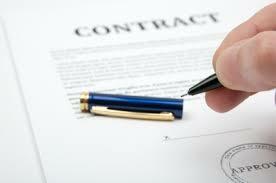 Need help on your company’s contracts? For biotech/pharma, go to lifesciencecontracts.com. Otherwise . . .
Are you facing one of these situations? I solve the problems listed above. I am an attorney who makes his living doing software, SaaS, IP, and biotech/pharma contracts. I have years of experience negotiating and drafting contracts, spotting issues, and advising on risks and what’s practical. See my client list, experience, differentiators, and testimonials. Call or e-mail me to see if I can help you. No charge for the first call!